A Systemic Approach to Quality in Early Childhood Services for children from 3 to 10 years of age. 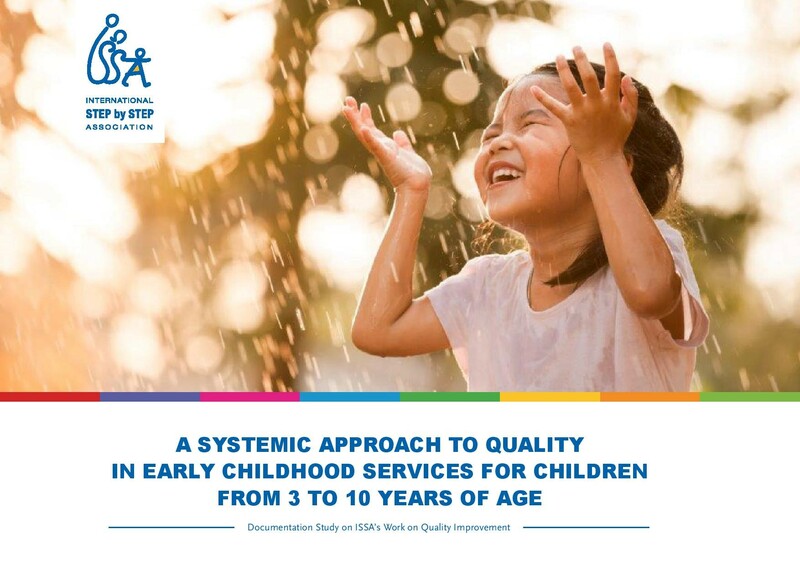 Over the past two years, ISSA has put a lot of effort and thought into developing a documentation study about its networks’ efforts on improving the quality in Early Childhood Education Services for children (3-10). Today, the results are made available. The Documentation Study was commissioned to learn how much the resources and support provided to ISSA organizations and their work (expanding across 25 countries) led to significant changes on various levels in the early childhood education systems. Secondly, it sought to find to what extent the resources and support provided led also to new approaches and new practices for strengthening professionalism, for ensuring quality services for young children and their families. A concrete set of resources, tools and mechanisms - found in ISSA’s Competent Educators of the 21st Century: Principles of Quality Pedagogy and the Quality Resource Pack - has been the backbone of years of capacity building, peer and individual member support, and country work. This versatile package - used in various country contexts - embraces ISSA’s shared vision of professionalism and quality pedagogy. ISSA utilized this package as the key source for the study. This documentation study also gives insights into the power of ISSA’s reflexive network in the early childhood field. Therefore, its release represents a clear milestone in nearly twenty years of co-creation, cross-country cooperation and shared learning. Moreover, it shows that ISSA is an agile network. All members deeply believe in the co-construction of knowledge, transnational networks of support, nurturing innovation and empowering agents of change. They equally believe in continuous learning and reflecting on the complex, dynamic and systemic nature of quality in early childhood education. Please find the Documentation Study HERE.